THERE’S A VERY iconic album cover from 1975 that features a sunbathing guy surrounded by a world in chaos. It’s by Supertramp and the album is called, Crisis, what crisis?. It could well be used as a metaphor for the Arsenal condition. The club’s fans now believe the Gunners are in crisis, the media is now openly critical of the stupor that characterises the men in charge and it has filtered down to the playing staff who seemingly want to leave the listing vessel. I’ve come across two Gunners’ fans who have sub-let their comfortable Emirates seats until a new appointment is made. But is it a real crisis? Surely, the problems at the Emirates can be solved, or at least set on the road to recovery, with one decisive board meeting? If they installed a “Wengerometer” at the Emirates, it would be in the red zone right now. It doesn’t take long for the indicator to sink to emergency levels. This season, it was in dangerous territory from game one when Leicester made Arsenal work for their 4-3 victory. But Arsenal’s start to the season is just about par for the course in recent years. For seven consecutive seasons, they have won just one of their first three games and for the last six, they’ve started at home. True, two defeats in the first three is unusual, but patchy openings seem to be typical for the club. Such is the delicate nature of Arsenal’s support at the moment that the “Wenger out” banners are already being taken out of their wrapping – the latest 3-0 victory over hapless Bournemouth will probably delay the inevitable. There’s been articles aplenty in the press questioning Arsenal’s long-term outlook, some coming from the media luvvies that have adopted Arsenal as the club of choice. But some of these articles have clearly been penned by supporters who have jumped onto the bandwagon in the Wenger era and have a romantic view of what the club is about. For example, it’s a fallacy that Arsenal have always focused on rearing their own talent. The club bought success in their historic golden era under Herbert Chapman, spending more money than almost every club in Britain. They were known as “the Bank of England club” for a while and a succession of big name signings gave them an advantage over their rivals in the 1930s. Arsenal slumped in the 1950s and went through a barren spell in the 1960s until Bertie Mee’s double winners, which were more representative of the home-grown philosophy than any of Arsene Wenger’s teams. And the Irish continent that carried Arsenal through the late 1970s and early 1980s were all sourced from Mee’s set-up. Wenger’s 1998 double winners included only Tony Adams and Martin Keown among a team of hired hands and in 2003-04, only Ashley Cole and Ray Parlour were youth products among the first-team regulars. Wenger mined a rich seam of talent from Ligue 1 for his squad in an era when good players came off the conveyor belt in France. While Chelsea and more recently Manchester City are blamed for the bastardisation of English football, Wenger was also at the forefront of making it more cosmopolitan. Arsenal’s timing for the construction of the Emirates was unfortunate. Just as the builders’ bills came rolling in, Chelsea received Russian patronage that elevated the club overnight. The Emirates was supposed to give the Gunners a distinct advantage over their London neighbours and put the club on an even keel with Manchester United and other European royalty. But as they adopted a more prudent approach while the Emirates was being paid for, Chelsea overtook them on the pitch and in doing so, planted the seeds for the discontent that has fermented away like a laboratory experiment since 2004. Arsenal were definite trailblazers when they appointed Wenger, anticipating the globalisation of football and the creation of uber-clubs by several years. This differentiated them five years ahead of Chelsea, who eventually became the thorn in Wenger’s side. The other clubs caught-up and Wenger was brushed aside by people like Jose Mourinho. 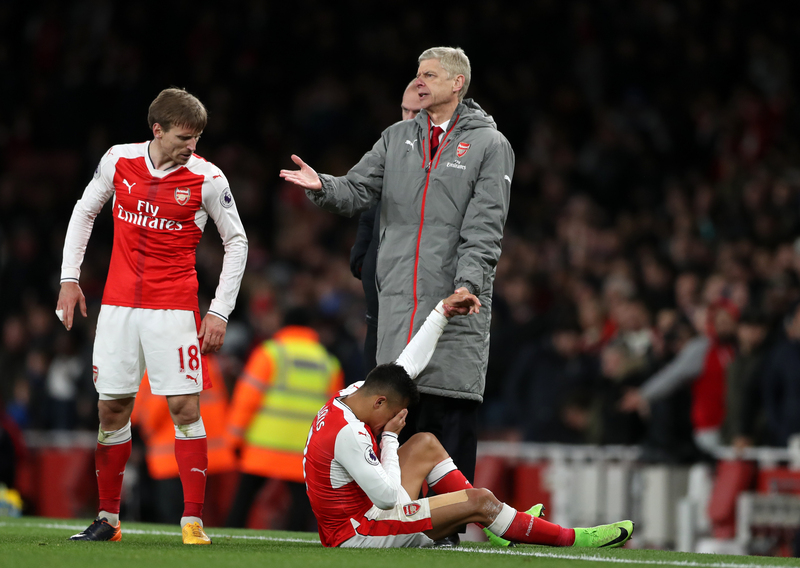 Wenger, and indeed Arsenal, spent too much time bemoaning the shift in power, but it wasn’t just a change in London, it was symptomatic of a industry in transformation. You could say that Arsenal have been left behind by the acceleration of those changes in the past decade, particularly the last five years. But as a corporation, Arsenal are every bit as powerful as their rivals. For a start, they have 60,000 people in their fine ground every home game. It’s not cheap to watch the Gunners, but they have an extensive waiting list that provides no motivation to reduce prices. This is a club that generates revenues in excess of £ 350m a year, £100m of which comes from matchdays. Even without UEFA Champions League involvement, Arsenal is a money-making machine. The financial figures reveal a club that has been successful in growing its franchise, but on the field of play, there has been stagnation. In the time that Wenger has been in charge, Chelsea have had something like 14 managers. This is hardly something to boast about, but it has meant constant reinvention and a stream of trophies. Stability has its merits and in the past, it would be a feather in the cap for a club to adopt such a strategy, but in the modern world, lack of change is indicative of a reluctance to move to the beat of the drum. And that’s where Arsenal are at the moment. Wenger has had his time and almost everyone is singing from the same song sheet. Even uncommitted football fans admit that Arsenal are a classy club and that Wenger has masterminded some wonderful football moments. But something is clearly very wrong at the club. Arsenal have so many advantages, so much money and so much credibility in the tank, but when a player leaves for a rival club, apparently for an inferior package, you have to ask why. That the contracts of key and talismanic players are perilously close to maturity suggests that tighter controls and more intense man management is needed. No player is bigger than the club, but Alexis Sanchez and Mesut Ozil are Arsenal’s prize assets. The latest big money acquisition, lexandre Lacazette must be muttering “merde” right now. The most recent transfer window highlighted the confused narrative. Bidding inflated sums for a player like Thomas Lemar of Monaco demonstrated just how desperate the club had become. There was a time when criticising Wenger was tantamount to betrayal, which says a lot for the loyalty of the club’s following and the people in the boardroom, but the passive Arsenal board and Wenger himself should be red-faced right now. Both have been in denial and both look as uncomfortable as uninvited guests at a party. One board meeting, that’s all it would take to turn the aircraft carrier around – the tragedy is that when that difficult decision is eventually made, it will be messy, a situation that could have been avoided with a graceful exit and a golden handshake in the summer of 2017. Previous Entry Digitalisation – the new 12th man?